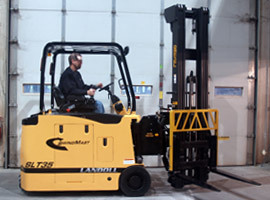 The SLT30AC and SLT35AC are 3-wheel front/side loading VNA forklifts with a single smooth rubber rear-drive/steer tire and solid poly-front load tires. 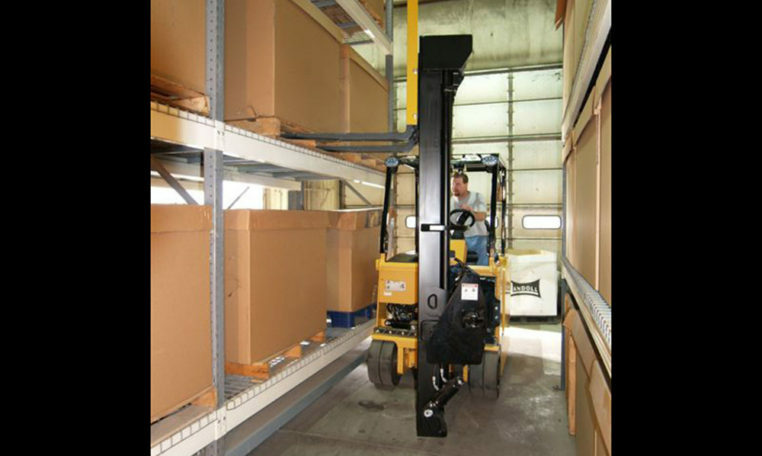 The front mast rotates 90° and has side shift of 20” (508mm), allowing stacking easily in Very Narrow Aisles. 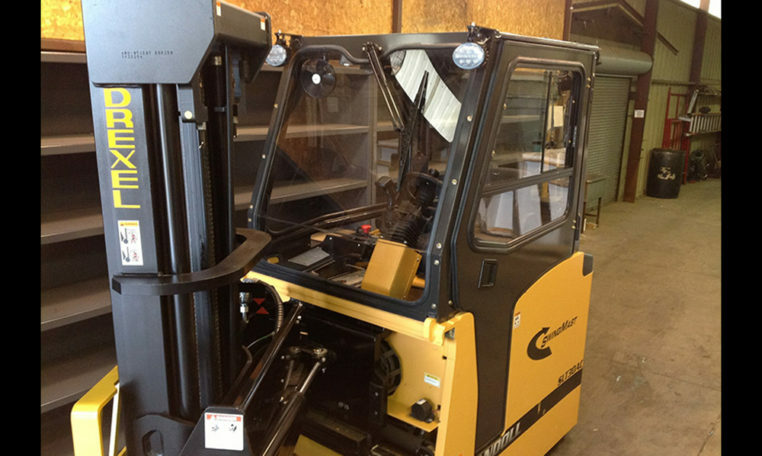 Both models can work inside and outside on paved surfaces, can perform the jobs of a normal front-loading forklift (including loading and unloading highway trucks and containers, working in bulk storage, drive-in rack, push back rack, double deep and climbing steep ramps). 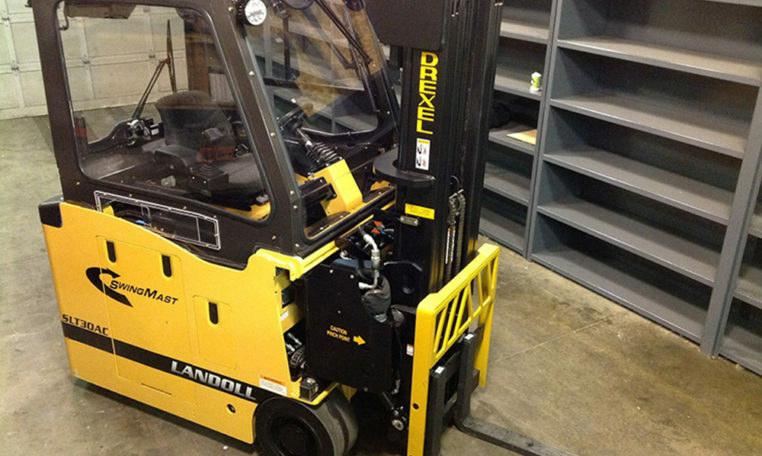 The SLT range does the jobs of reach and counterbalanced trucks in aisles over 50% smaller. 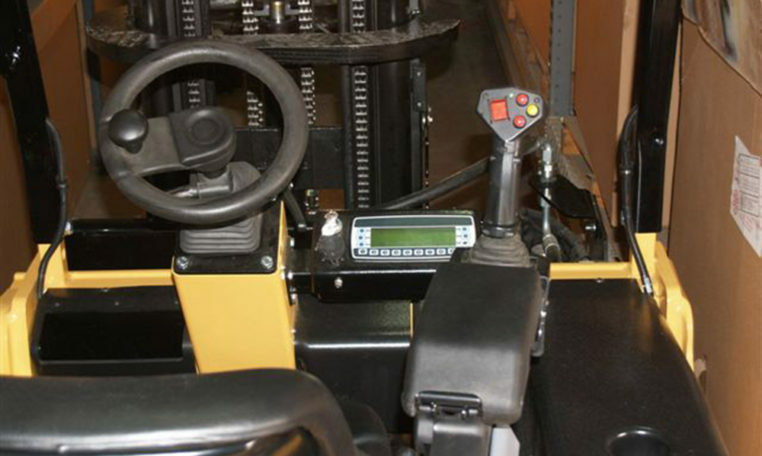 The rear steering and drive allow turning in short-cross aisles further increasing the storage density when compared to counterbalanced trucks. 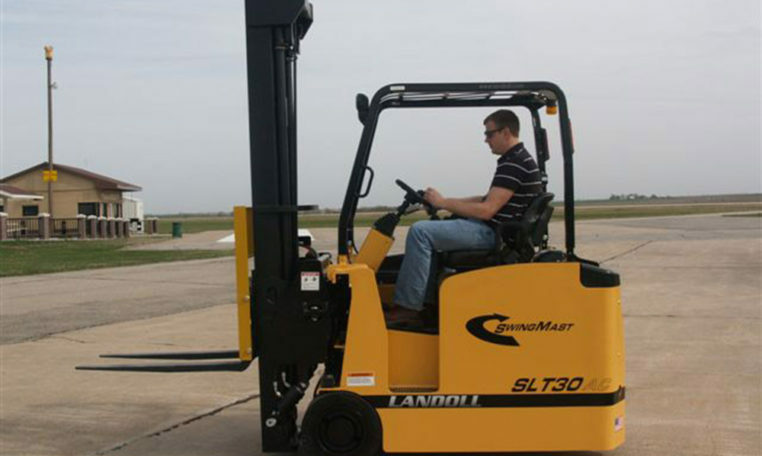 The SLT30AC and SLT35AC have fast lift/lower and travel speeds with a tight turning radius providing excellent maneuverability and productivity. 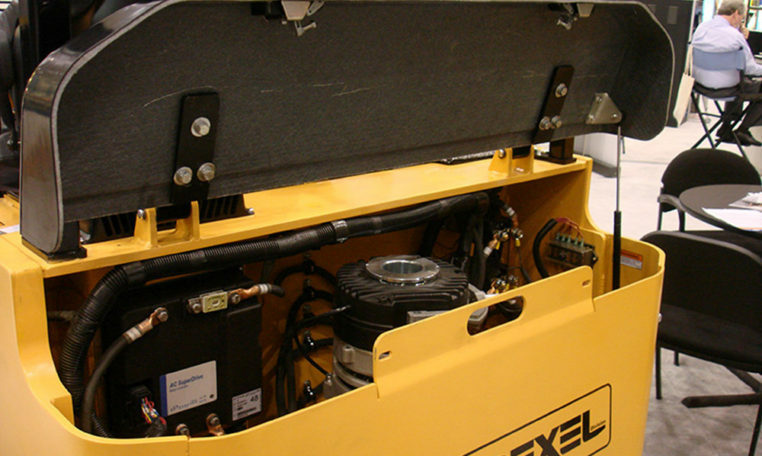 The rollout battery compartment allows fast battery changes for multi-shift operations. 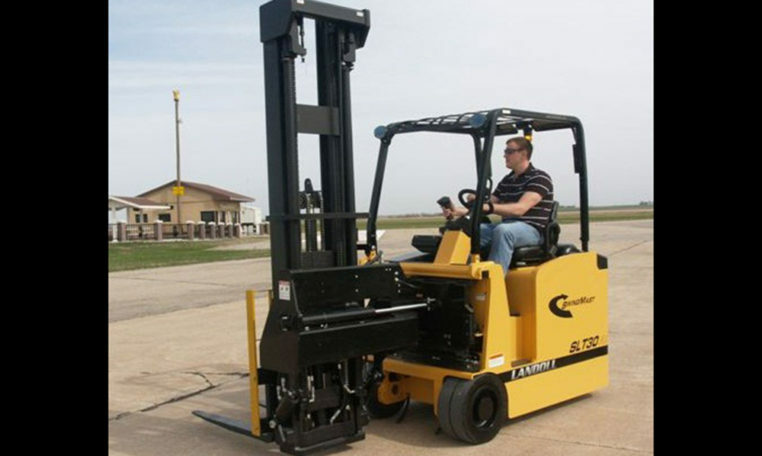 High Visibility three and four stage masts are available for a wide range of applications including those with low overhead obstructions still requiring high lift heights. 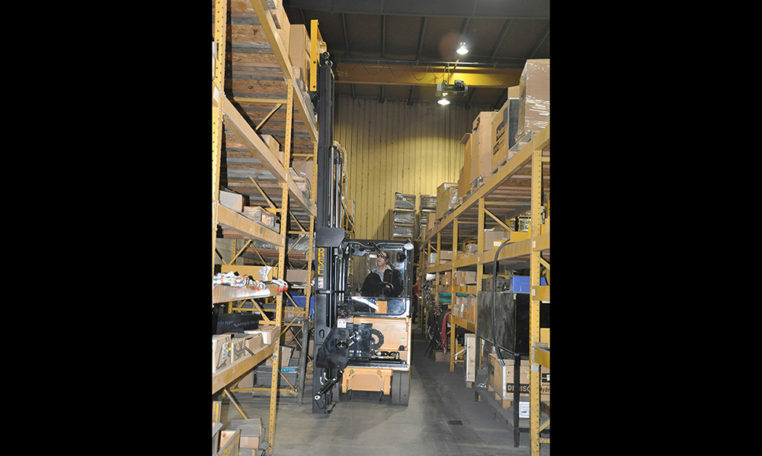 Wire Guidance is a standard option on this model allowing safe full-speed travel in the narrowest aisles. 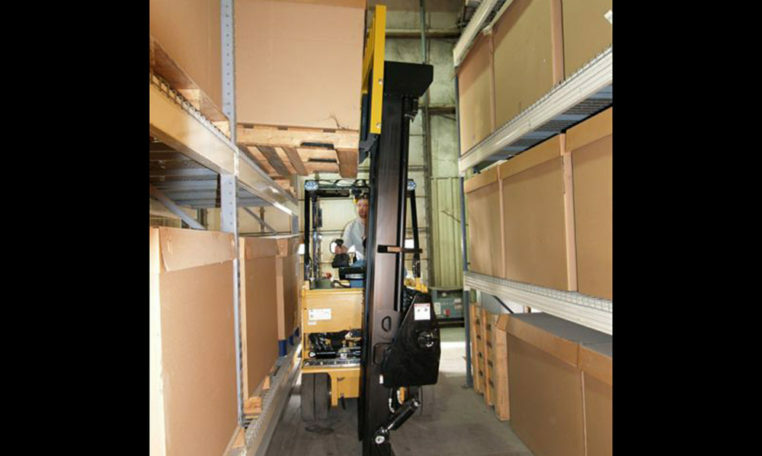 The versatile SLT30AC and SLT35AC forklifts replace conventional reach and counterbalanced forktrucks in standard warehouse operations. 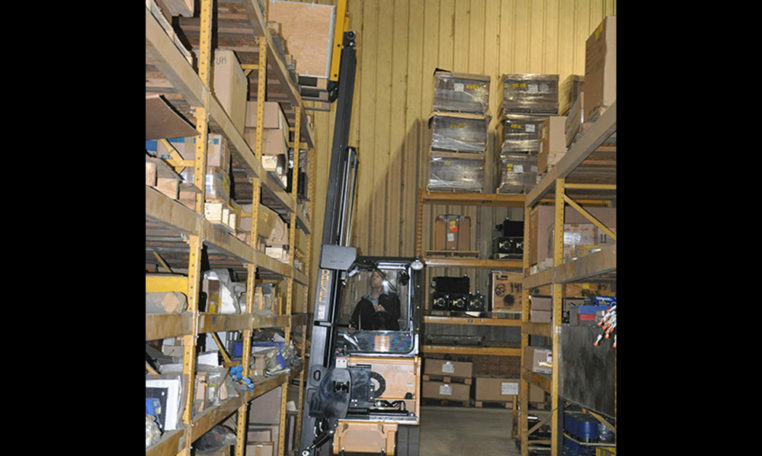 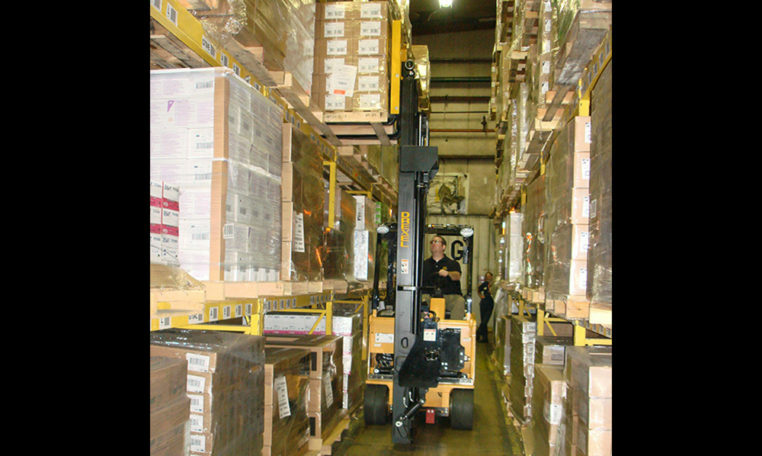 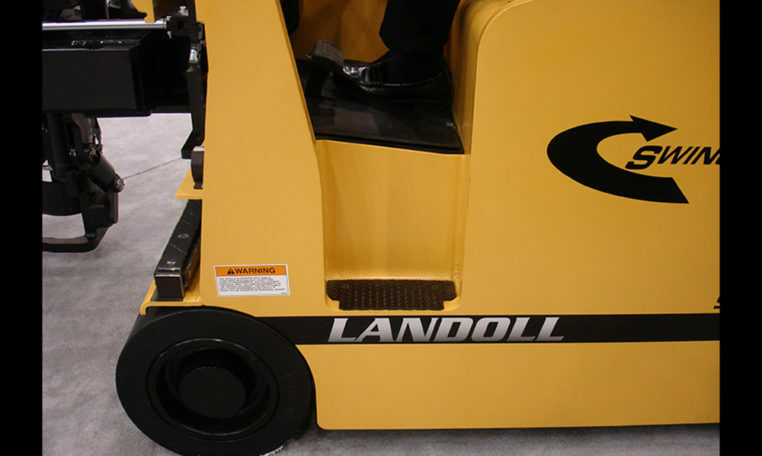 The unique design allows operators to use it as a counterbalance truck indoors or out, operate in very narrow aisles in warehouses, replacing reach and counterbalanced trucks that require much wider aisles. 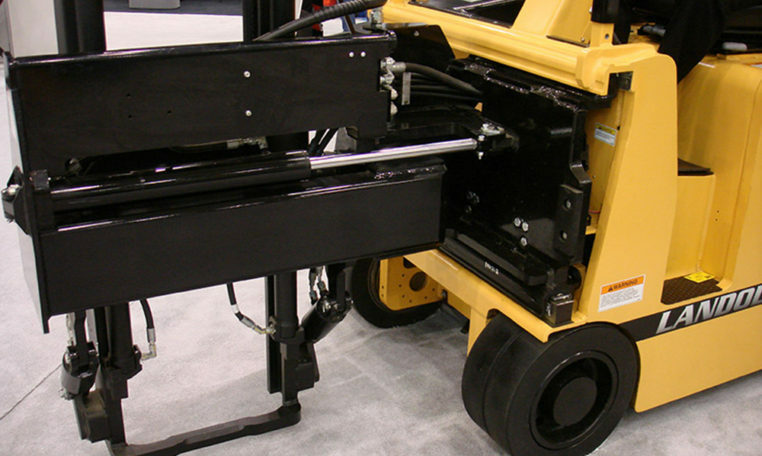 All tires on both models are 18″ (457mm) diameter and the truck has great underclearance for avoiding floor obstructions.